Hiya Readers! Today I have for you is the letter J for Japanese, for my continuation of the Alphabet Nail Art Challenge. I'm also excited to announce, I made a tutorial, of this design, for Glam Express. This is an awesome site, that unites many artist's in the beauty community (make-up, nails and etc.) together. So I've partnered with them as a feature contributor. What that would entail, is me creating wonderful nail art tutorials for you guy's! Cool uh! So check them out at: Glam Express. 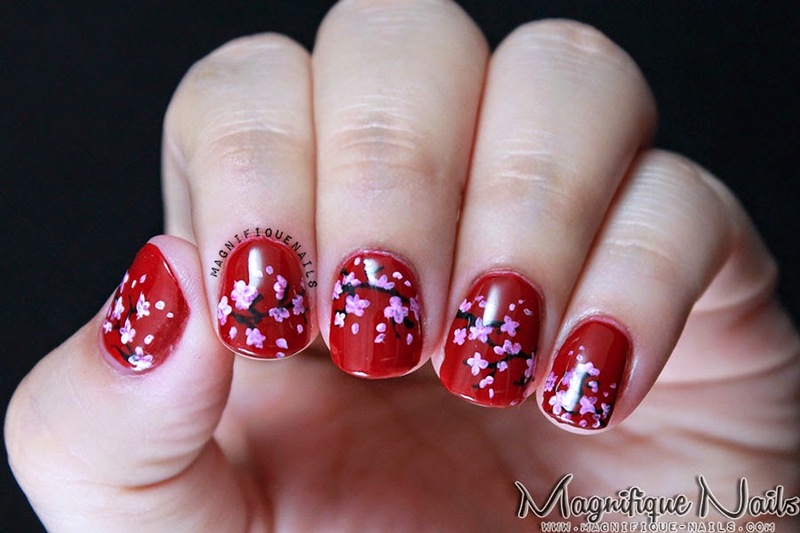 Why not share how I did these amazing cherry blossoms. Honestly, I really did not want remove them. I was soo in love. It was breaking my heart, once I had to take them out. So here it is:I seriously love this color from Essie's fall collection. Even though it stained a little after removal, I don't care, this is absolutely the best color for the fall. First, I applied two coats of Essie Twin Sweater Set. The formula of this polish was perfect & smooth. 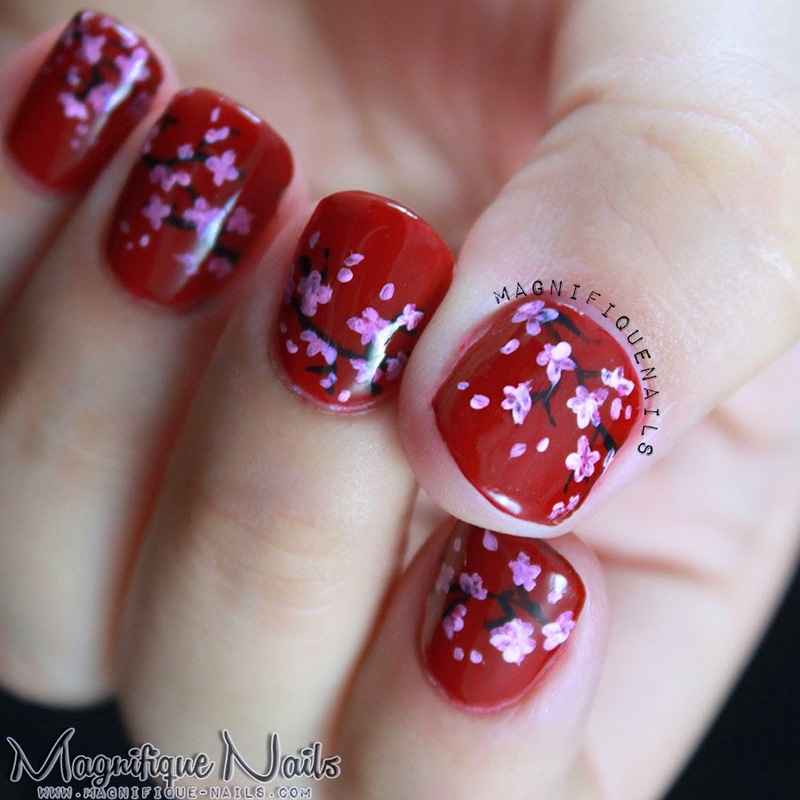 With a nail art brush, I drew the branches, using Sinful Colors Black. I curved the branches on each nail differently, to make the design "pop". 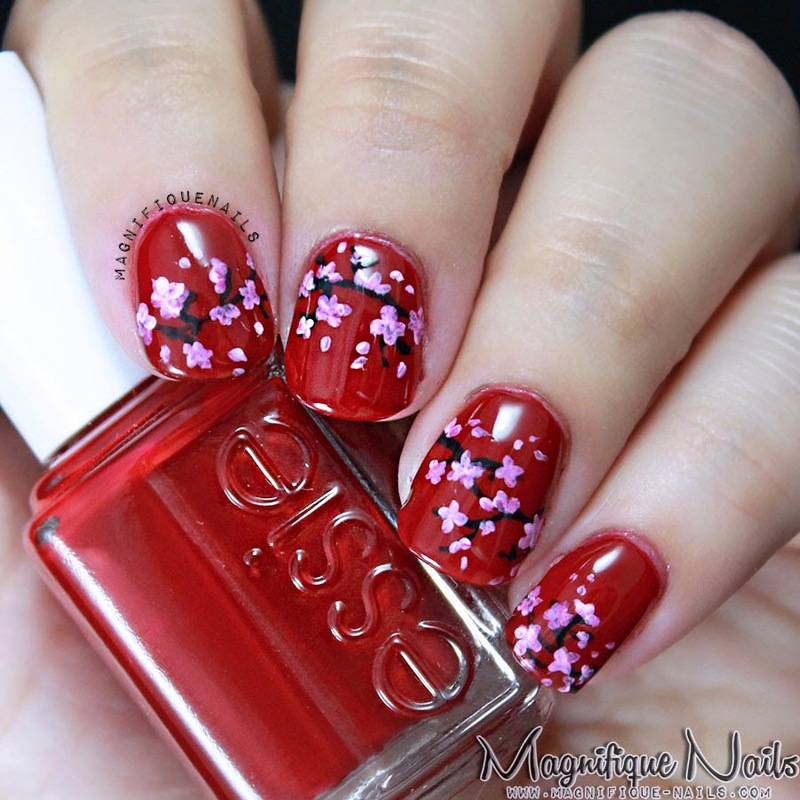 Then I used the tip of my nail art brush to create the blossoms, using Essie The Lace Is On & Floss Gloss Perf. Seal the design with Duri- Super Fast Dry Through Top Coat (Which is now my new favorite top coat).